Arabs and Jews are two people that descended from the Semitic people. The Semitic people are a collection of people that mostly lived in the Middle East and North Africa. Many ancient and modern people are part of this collective group. As terms, “Arab” and “Jew” are often used as descriptions in any connection to each of these respective people and cultures. To define an Arab and a Jew is a difficult task. The word “Arab” is usually associated with a person who had connections or was born in Arabia. He does not necessarily have to be a follower of Islam or a practitioner of Muslim traditions to be an Arab. On the other hand, Jews are not necessarily considered a race; it is more the combination of an ethnic, national, and religious identity. Both Arabs and Jews have a close relationship to the place they call home, the Arab Peninsula for the Arabs, and Israel for the Jews. The term “Arab” means a person that hails from Arabia. Likewise, the term “Jew” originated from a place, particularly the Kingdom of Judah, one of the kingdoms mentioned in the Jewish Talmud and the Old Testament of the Christian Bible. Another point of difference is their professed faith. Arabs are predominately Muslim with small minorities belonging to Christianity and Judaism. 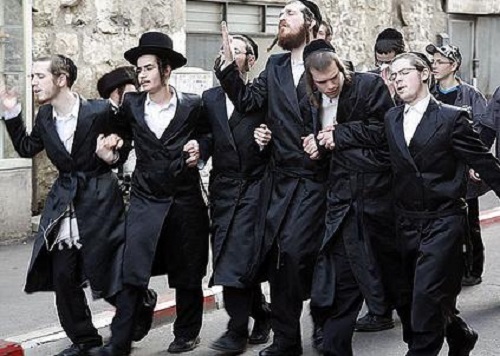 In a similar fashion, Jews are predominantly practitioners of Judaism, but some Jews have embraced Christianity, the religion that was formed after Judaism. It is interesting to note that both people practice monotheism or the religion of one Supreme Being. For the Jews who practice Judaism, their Supreme Being is Yahweh, while the same Being is called Allah by Muslim Arabs. The place of worship also differs – the synagogue is the place of worship for Jews, while the mosque functions as the worship place for Muslims. Both people also rely on their respective holy books. The Koran serves as the authority and collection of teachings with regard to the Muslim faith; the Talmud functions in the same manner for the Jews. Arabs, in their history, tend to be concentrated in the Arabian Peninsula or in neighboring regions. However, the Jews are often referred to as the “wandering people” due to their exile from Israel, their promised land, and the struggle to find a permanent settlement. In addition, Jews are often persecuted in their foreign settlements in the duration of their diaspora. In terms of speech and communication, Arabs have their own language, while the Jews use Hebrew as their main language. There are other Jewish languages that are further categorized into language families like: Indo-European, Afro-Asiatic, Turkish, Dravidian, and Kartvelian. The Persians primarily influenced the Arabs. Meanwhile, European and East Asians influenced the Jews. Both Arabs and Jews are groups of people who share a unique culture, tradition, and religion. Both Arabs and Jews are part of the Semitic people. As two separate people, the Arabs are associated with the Arabian Peninsula, the place where their name was coined. On the other hand, the term “Jew” was lifted from the Kingdom of Judah, a historical place mentioned in the Holy writings. The majority of Arabs are Muslims, while the predominant religion of Jews is Judaism. Both practice monotheism or the belief in one Supreme Being. For Muslims, that Being is Allah; Jews call their God Yahweh. The places of worship and sacred books – Jews follow their history and practice their religion by learning the Talmud, while Arab Muslims do the same with their Koran. Jews have synagogues as their place of worship; on the other hand, Muslims have their own mosques. Celine. "Difference Between Arabs and Jews." DifferenceBetween.net. 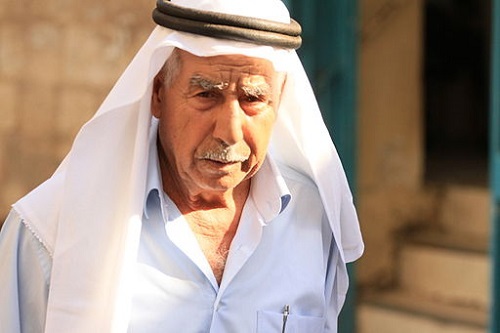 April 4, 2019 < http://www.differencebetween.net/miscellaneous/culture-miscellaneous/difference-between-arabs-and-jews/ >. It’s sad to see the bitter hatred Jews and Arabs have for each other in the last century. The Jews used to live in Arab Muslim lands like Spain, Syria, etc. to avoid religious persecution by the European Christians. Now the Euro-Christ and Jews have teamed up to divide and conquer the middle east from the Arab Muslims. The Roman Christians exiled the Jews from Jerusalem and desecrated the Temple Mount for six centuries. It wasn’t until the second Caliph Omar, that Jews were allowed to return to Jerusalem and the Temple was cleaned. The divine prophecy of Isaiah 60! a shame ?? no, its prophetical and the bitterness between Arabs and Jews stems from Abraham and the birthright given to Isaac while Ishmael was exiled out . both bloodlines have been rivals every since and will fight most likely til Jesus returns . in other words, blame Abraham, since he helped create a sibling rivalry because he was too impatient to trust that God would provide him a son thru Sarah, not Hagar. You are wrong as Ibrahim (PBUH) was a prophet he doesn’t divide and both Isaac and Ismael had a very good relationships even their posterity after them the idea that when Ibrahim(PBUH) sent Ismael away made the hatred is not true. Canaanites (who are now the Palestinians and the Lebanese) were before Jewish so they have the right in their land. Religiously reasons because they Jewish petrayed God and gone against Him. Israel is illegal existence ….It is Palestine. Jews are descendant of Isaac, while Arabs are descendant of Ishmael. They are both sons of Abraham. The article seems to emphasize the Talmud’s place in Judaism while glossing over the fact that the “Old Testament of the Christian Bible” is in fact the Jewish Bible, from which the Talmud derives all its teachings. It’s unfortunate that many of these articles are written by ignorant people. It’s even sadder that anyone seems to be able to post here and no one seems copyediting or to be reviewing for accuracy. God “Yahweh”. God is called Adonai, HaShem (‘the name’), Elohim, and several other “nicknames” because it is believed that no one knows the true name of God. Please forgive my rookie observation on this issue. It seems to me that both groups share common ancestry and that the biggest gap exists between their religion and language. I find no other group of people as close in DNA on planet Earth that share a greater difference in that regard. Am I wrong? It seems you have a very poor understanding of the term “Arab”. There is no genetic origins for Arabs from North Africa to western Iran. Arab is a linguistic denominator of different indigenous groups in the Arab world who were Christianized and later Islamized. It has nothing to do with biological origins, just like with the descriptor word Jew. Arabs and Jews have nothing in common. Jews are descendants of God, and Arabs are descendants of Allah. God had totally different DNA, unrelated to the Arabs. God’s DNA was similar to the DNA of Navajo Indians. Arabic DNA was similar to the Eastern European ancestors that migrated to the middle east around 10,000 bc. Their skin darkened somewhat every hundred years or so. The Jews already had dark skin from their Asian ancestors, same ones that the Navajo descended from. Arabic prayers are longer and more drawn out, whereas Jewish prayers are the same as the Navajo, incorporating pentatonic scales instead of the modal tonalities of the Arabs. Jesus was a Jew and had Navajo DNA as well. Mohammed on the other hand had no Native American style DNA. He mostly had Ukranian and Baltic style DNA. The strands are bigger than Jewish DNA. Jewish DNA had small strands and probably originated from a meteorite that could have been from a planet inhabited by Native style Americans like the Navajo. Arabic DNA came from ice meteors which originated further out from other galaxies, planets that had cars and boats and stuff, not the Navajo style people.